Go "off the grid" and journey deep into northwest Argentina! This tour will take you through lush and dense forests, high deserts, colourful mountains and valleys. 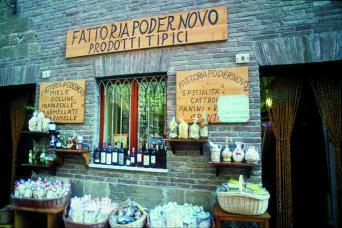 Taste wine and cuisine made from ancient recipes and methods, found only in this region alone. Bike rides and hikes will take you to regions of the country that are rarely visited by tourists. You will ride through the National Park Los Cardones to see the bright red-rock formations of la Quebrada de las Conchas, and hike through vineyards, salt flats, and quaint, ancient villages. 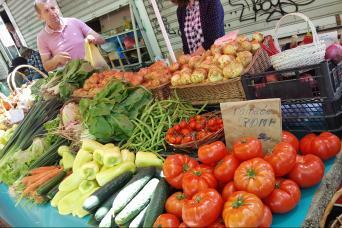 This tour is designed to introduce you to the rich and vibrant culture of Northwest Argentina, through authentic cuisine and exhilarating adventures! 2019 DATES: On request for groups of 4 and up! 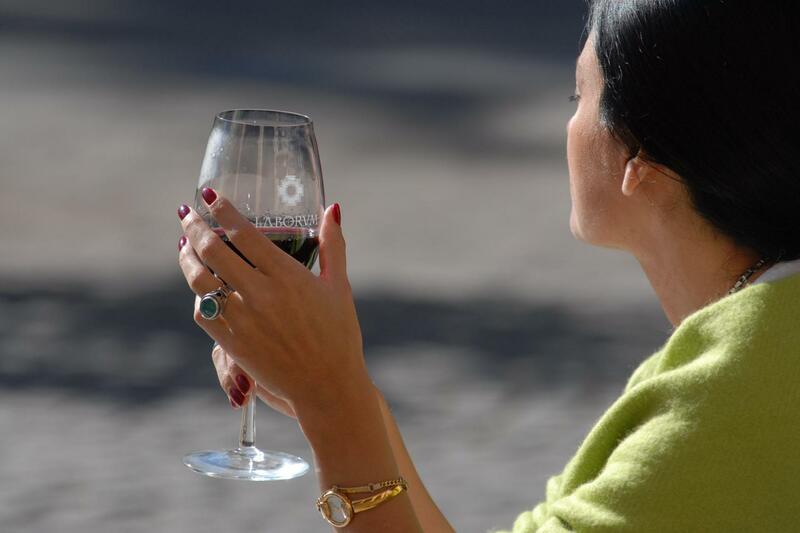 Don't just visit Salta, Taste it; Experience it! At Pure Adventures, we believe your time is precious. We go to great lengths to ensure every component of every tour is arranged to our high standards. We don't compromise on values and quality and know you don't compromise your vacation dreams. Your tour begins in the charming colonial city of Salta. Your host will meet you at the Salta airport and provide a transfer to your hotel located 15 minutes from the airport. Time to freshen up and rest! Optional afternoon activities include a walk through the city, horseback riding, or a spa treatment. Enjoy an evening on the veranda and begin discovering the wines of Argentina during your tour briefing. 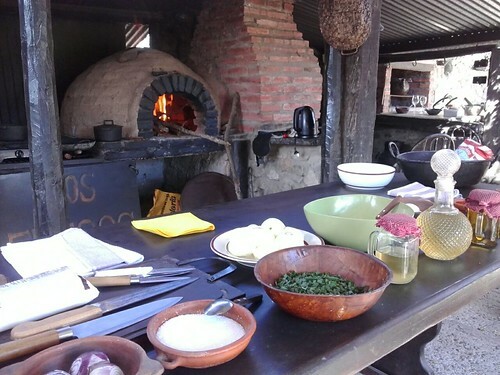 Afterwards, you will be introduced to the beloved tradition of asado-style barbecue! At the base of the Andes and just a few minutes from Salta, the House of Jasmines estancia is cradled by a warm and romantic atmosphere. At the end of a eucalyptus lined driveway, an elegant 100-year old mansion welcomes travellers. Representing the art of hospitality dear to the Fenestraz family, the rooms and suites are a model of comfort and refinement. From the large 100 hectare park to the spa and pool, everything has been designed to offer guests total relaxation. With its large fireplace and clay oven, the House of Jasmines dining room, La Table specializes in Argentinean cuisine showcasing regional produce. 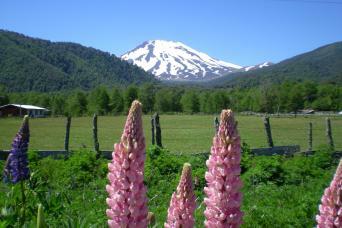 House of Jasmines is also the perfect starting point to explore the natural wonders of northern Argentina. At the foot of the Nevado de Cachi, La Merced del Alto dominates over the breathtaking valley, Surrounded by hills, rivers and streams. Standing out from the top, its views invite to explore the Valles Calchaquies or simply relax and enjoy the silence of the place. Start the day off on a good foot with an early morning hike around the small agriculture plots in Cachi Adentro. After breakfast back at your hotel, enjoy the scenic drive to Colome Winery. You'll arrive just in time for a late lunch prepared with ingredients from their biodynamic orchard and a tasting of fine local wines from their vineyard. After lunch and wine, you will visit the James Turrell Museum. 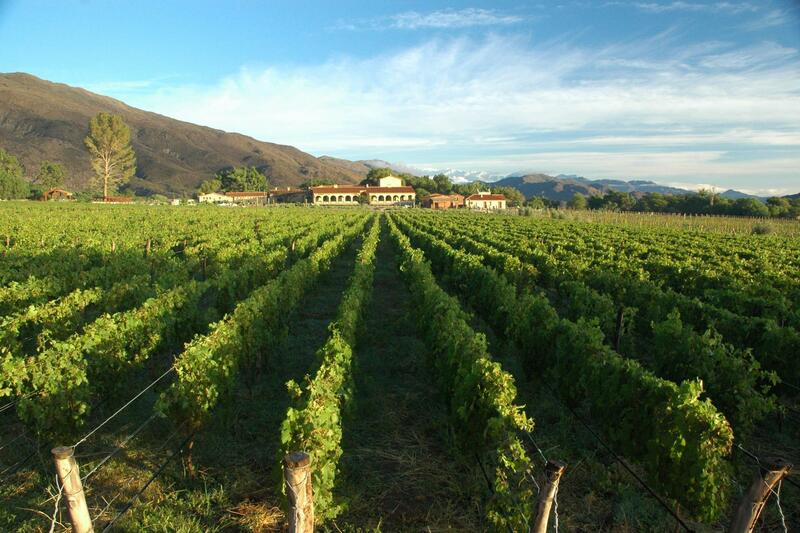 Tonight's accommodation is the Hacienda de Molinos, where you will enjoy simple, fresh, local food paired with wines from nearby farms and vineyards. 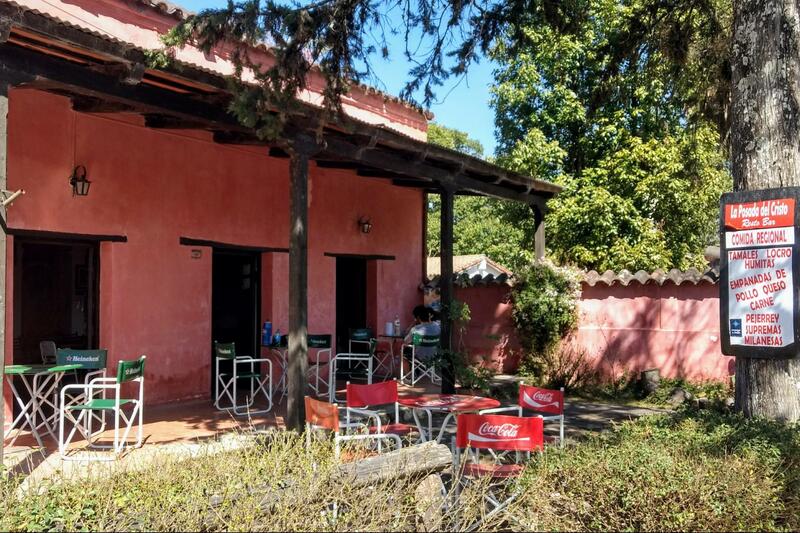 Hacienda de Molinos Hotel is located on the bank of the Calchaquí River in Molinos town, right next to National Route 40 and in the center of the Calchaquí Valleys in Salta province, Argentina. 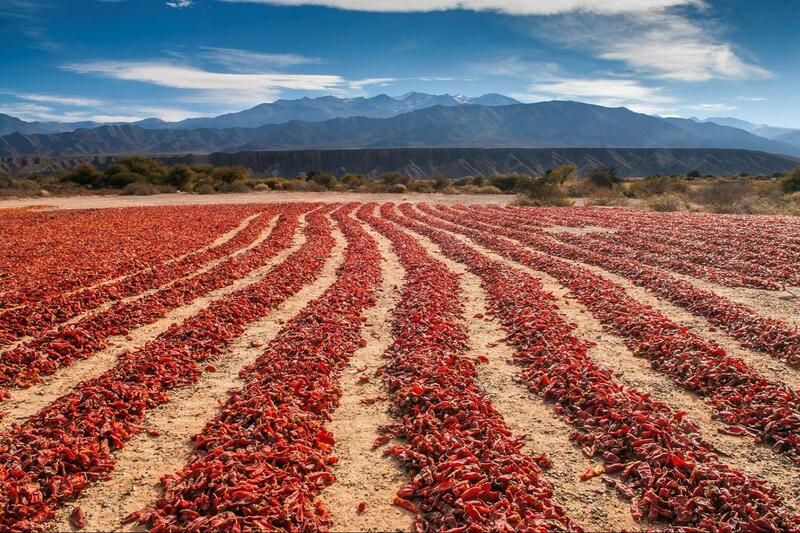 Salta offers the most various climates and landscapes all year long. In less than 3 hours, you can travel from the city to the desert and experience from warm weather conditions to the cold sunny weather of the mountains in the area of the green valleys, going past the subtropical forest which leads to the Puna in Los Andes mountain range. Molinos is 2,150 meters above sea level. The weather is dry, arid and there is a wide temperature range. During the day, it is sunny and rarely cloudy. Rainfalls are scarce and do not exceed 200 mm per year. The average annual temperature is 12ºC; the highest temperature reaching 25ºC in December and the lowest temperature 9.4ºC in July. Start the day with a drive from Molinos to Cafayate, stopping along the way to visit local farmers who use ancient irrigation techniques for their crops. These pre-Hispanic techniques have been used by farmers in the valley for more than 500 years. Today their methods incorporate both Andean and Spanish heritage. You will visit the local farmers at Red de Turismo Campesino and then arrive at your hotel in Cafayate in the early afternoon. The hotel is nestled in a vineyard where the wine from tonight's dinner originated. In the midst of the vineyards of the winery El Esteco and with the Calchaquí Valleys in the background, the farmhouse - which belonged to the traditional family of Michel Torino founded in 1892, today is part and soul of this incredible hotel with wide walls, glazed domes that illuminate the corridors, Spanish tiles on their ceilings, wrought iron portals, rumorous fountains, typical cisterns, and a large collection of period furniture and paintings. 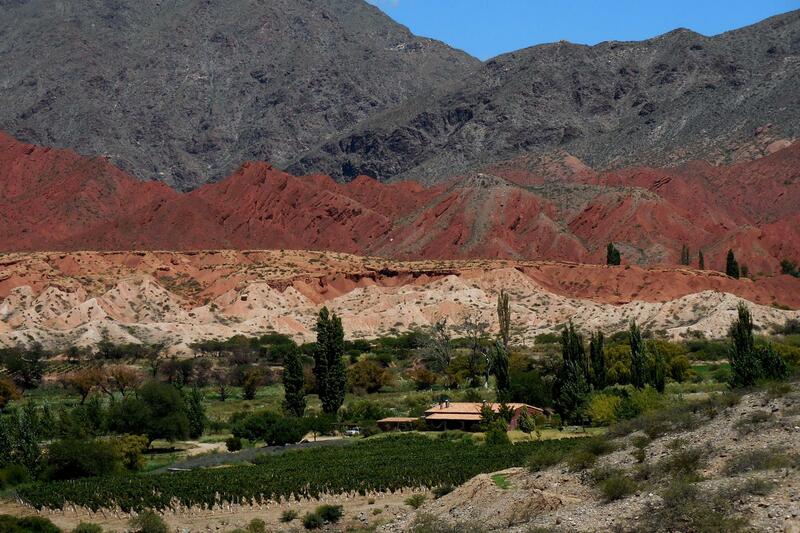 A unique proposal in Cafayate that unites around the theme of wine, the winery and the hotel. A must for those who want to enjoy their hospitality, the landscape that surrounds it, its history, its art and the incredible warmth of its people. Its 32 rooms, arranged between spacious courtyards and colonial style, welcome you with the comfort of its spaciousness and original furniture, but also with the modernity of its equipment and services. Gardens neatly maintained, and a magnificent pool surrounded by pergolas laden with grapes frame the evenings of the valleys, giving freshness to the radiant sun. 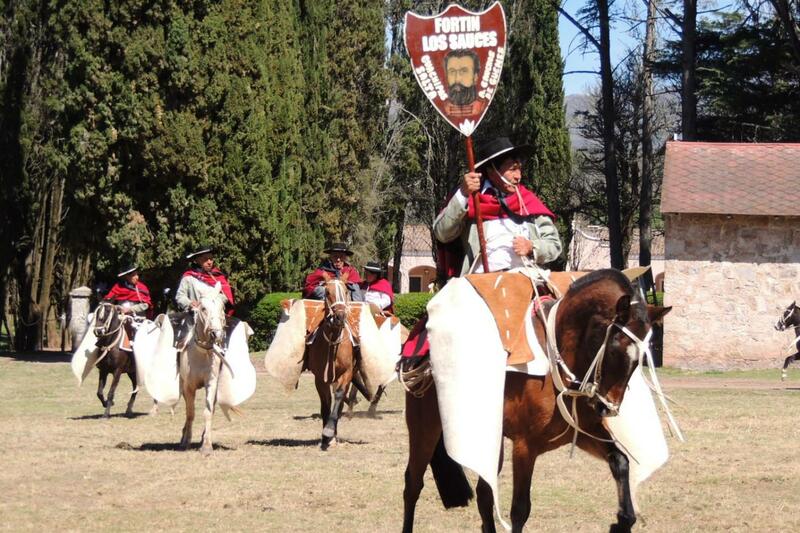 A corral with llamas, from where horseback excursions leave the vineyards, reaffirm the traditions of the area. With more than 10 years of life today has a new proposal, so that our guests can really live the culture of the valleys in full. Tranquility, sunny days, cool nights, a glass of delicious wine and good cuisine. Laderas that change colors with the sunset or sunrise and a team that is trained to make Patios a unique experience in these distant latitudes, so that they can thus "Experience the Calchaquíes Valleys". Be sure to start off with a good breakfast! Today's highlight is the bike ride through the stunning red rock formations of la Quebrada de las Conchas. You'll have time to take as many photos as you like. 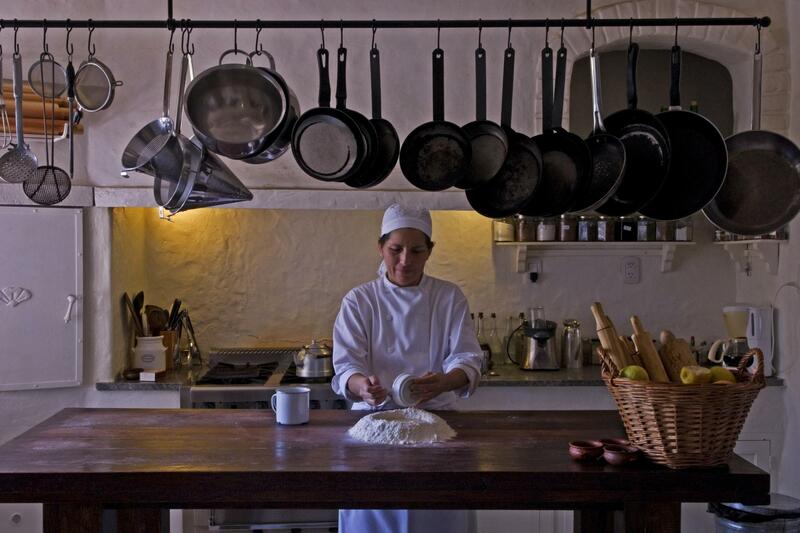 After the ride, enjoy lunch at the pousada La Posta de las Cabras, a local goat cheese farm. After lunch, a 90-minute drive will bring you to your hotel in Salta. Relax in the afternoon and explore the main square and the MAAM (High Mountain Archaeological Museum) to understand more about the region. With a colonial, sophisticated and personal style in its 30 rooms, Solar de la Plaza Hotel combines the tradition of a mid-twentieth-century mansion with the elegance of a contemporary high-end hotel building. Solar de la Plaza Hotel is located right in the city centre, opposite Güemes square. Our guests base their choice of this boutique hotel in Salta on a refined and intimate atmosphere, where details of a beautiful past and the staff’s tailor-made attention create a unique ambience. Our concept harmoniously combines comfort, relaxation and exquisite decoration with the scent of the orange trees in the square, the mansion’s inner courtyard and a view of Salta’s historic downtown, which can be enjoyed from the rooftop terrace. Here, guests can also make use of the hotel’s swimming pool, gym and sauna. After breakfast, the regular tour program ends. 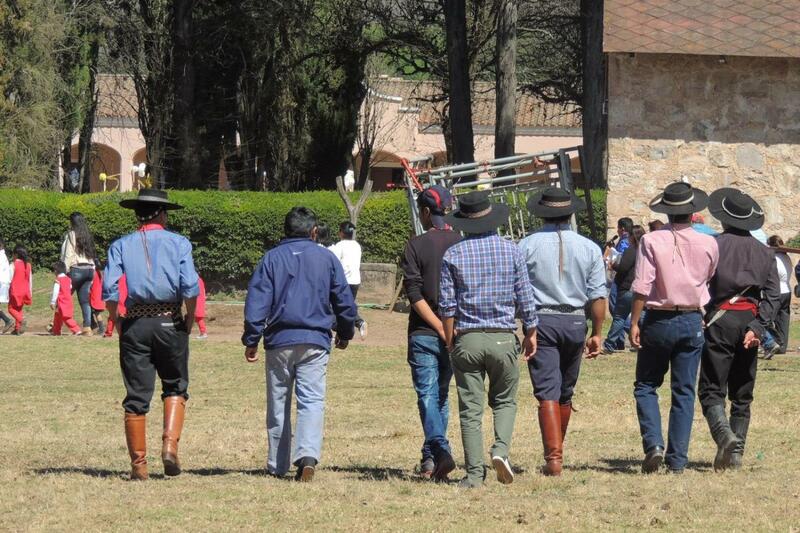 We say 'adios' and return you to the Salta airport. Or, add on a two-day, 1-night extension to go north to the Quebrada de Humahuaca region to learn about Andean food production, breeding llamas for wool and meat, and salt harvest on Salinas Grandes. This region also has some small new vineyards that produce a very different wine, given altitude and a colder weather than in the Calchaqui Valley. Optional extension itinerary: Day 7 – Salta - Purmamarca Depart in the morning on a 25 minute transfer to the town of La Caldera a small town from here you will bike your way along the ‘Camino Real’ or Royal Road that connected Lima, Peru to Buenos Aires in Argentina during colonial times. From La Caldera bike north following a mountain road under a green canopy of the Yungas, a cloud forest. We end our ride at La Cienaga from where we transfer north for 1 hour towards the Quebrada de Humahuaca, for a light lunch in the small village of Purmamarca. Freshen up and explore the small town. In the evening we enjoy a dinner prepared by chef Sergio Latorre. Day 8 – Salinas Grandes – Salta Morning drive up the Cuesta de Lipan and over the Andes into the Puna – or Altiplano – we reach our destination, Salinas Grandes where we meet workers from the indigenous community of Pozo Colorado. 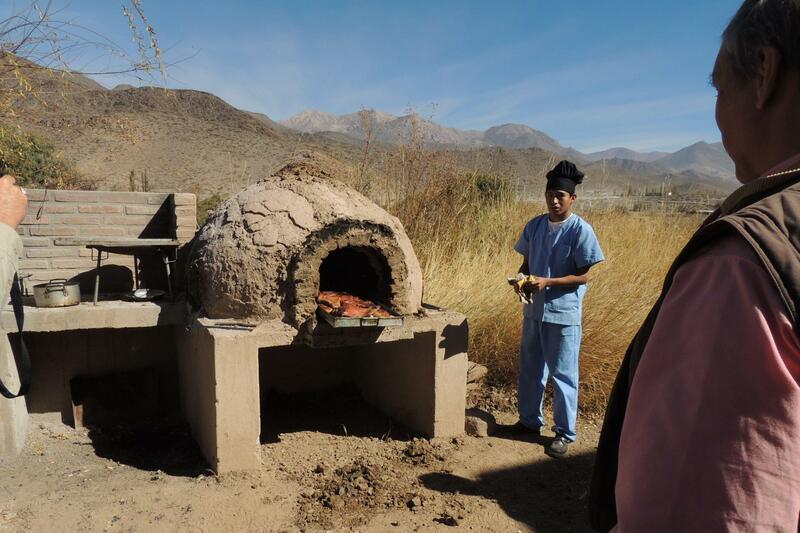 We will explore the salt flats with them, walk with llamas, and have a lunch with locally produced food and wine. After lunch, return to the hotel for a late checkout and drive to Salta airport. *Single supplement is based on more than 2 travelers. - Arrive in Buenos Aires at the international airport, which is different from the domestic airport. A long transfer is required between airports; check with us before booking domestic flights to Salta where the trip starts. Salta is located in north-western Argentina with roots closer to Peru and the cities of Arequipa and Lima than the capital city of Argentina, Buenos Aires. The air here is different, both because of the Andes geography and because the blend of people and culture is different: Andean, Spanish, Lebanese, Italian, British all blended in one. The charming town of Salta is renowned for its eclectic architecture, striking landscapes, and rich cultural history. Level: Level 3 Moderate; terrain is rolling and distances while moderate are affected by altitude. Longer and shorter options exist. Dates: March 3-9, 2018; April 28-May 4, 2018, May 19-25, 2018; October 20-26, 2018. This is a guided tour. Groups of 6 or more can request custom dates. Add On 2 Nights: go north to the Quebrada de Humahuaca region to learn about Andean food production, breeding llamas for wool and meat, and salt harvest on Salinas Grandes. This region also has some small new vineyards that produce a very different wine, given altitude and a colder weather than in the Calchaqui Valley. Best Time To Go: April - June, October - December. Ana Ines Figueroa Alexander was born in Salta, Argentina..A Certified Fitness Instructor, horsewoman and hiker; she developed a passion for travel while visiting Europe, Africa and the wonders of South America. After extensively visiting the USA, she came back to Argentina and has worked as a guide and trip designer for many legendary international adventure and luxury travel companies. She is also a writer, having written in both Spanish and English the texts for the photographic books by Ossian Lindholm: Argentina’s North; Ischigualasto, the Valley of the Moon and Talampaya and The Calchaquí Valley; also The Spirit of the North, with photos by Jasmine Rossi. She is trip planner, designer, loves talking with travelers about the fascinating South American history and traditions. Ana is a conservationist and advocate of tourism as a means to improve the life of those who live in the remote Andes. This Tour is new in 2018! Aluminum frame, 27 speed hybrid/mtb cross with 27.5 wheels; adaptable to all terrain including gravel hard pack and roads with no shoulders; best choice for Argentina routes! Included are: helmets, water bottle in cages, flat pedals or with cages, handlebar bags and flat tire materials for quick changes by yourself or with guide assistance. Travelers can bring their own clipless pedals for installation. Travelers are encouraged to bring their own bike computers and/or GPS app/devices. Bikes Included in trip price. Pedals: flat or with cages. Travelers may bring their own clipless pedals to have installed.